Peek below the surface of Grand Turk's clear blue water for a glimpse at the Atlantic Ocean's bewildering variety of fascinating marine life. An island tour is one of the most efficient ways to learn about the historical heartbeat of Grand Turk -- the capital island of Turks and Caicos. Spend the day soaking up the sun on the sands of Grand Turk while participating in aquatic and land activities on a beach break excursion. Stingrays are not just for Grand Cayman! 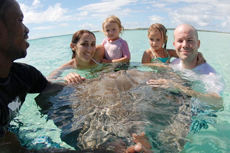 Swim with stingrays in Grand Turk and even get the opportunity to feed them as they glide by. Set sail for one of the many fantastic deserted beaches in Grand Turk, enjoying aquatic excursions along the way on a Catamaran tour. 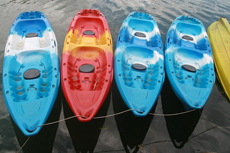 Enjoy one of the most incredible kayak tours you will ever experience, combining kayaking in the mangroves while exploring its offshore habitats and regions. Grand Turk offers some of the finest scuba diving excursions in the world with its vast array of tropical fish and reefs. Looking for adventure everyone will enjoy? 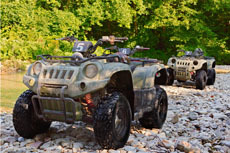 ATV tours are a thrilling way to try something new while site seeing around Grand Turk. 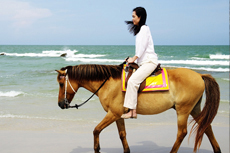 A horseback excursion lets you explore Grand Turk's natural beauty on horseback -- both on land and in ocean. 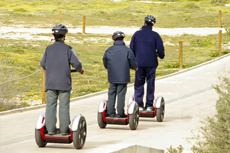 Head off the beaten path on Grand Turk via Segway vehicles; be sure to check age and weight restrictions. Skirt the beaches of Grand Turk in a two-person dune buggy. Trek up to the bluff for a scenic view and keep your eye out for pink flamingos. Similar to a glass bottom boat, the semi-sub showcases all of the underwater landscapes and unique marine life only visible from below the water's surface. 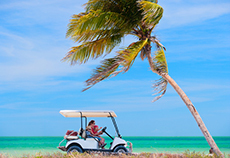 Get around the island of Grand Turk easily with your own rented golf cart. 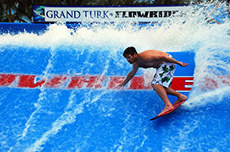 Experience the thrill of body or knee boarding in a fun, exciting, and controlled environment on the Grand Turk FlowRider. 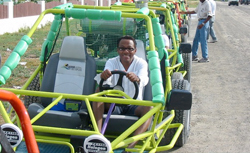 An open-air drive is a popular way to explore Grand Turk. 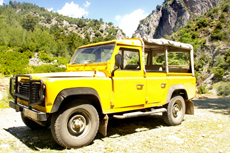 Cruise around this "Old World" Caribbean island in a Jeep, veering down side roads and onto secluded beaches. 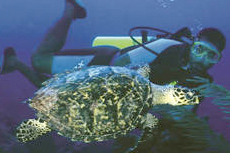 A hybrid of scuba diving and snorkeling, snuba is a unique way to discover the beauty of the coral reefs and exotic fish prevalent in the waters of Grand Turk. The two-floor national museum of Grand Turk outlines the history of the island alongside various displays highlighting maritime history dating back to 1513. 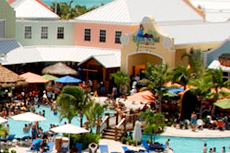 Grand Turk offers scuba divers one of the world's best diving experiences, even as a beginner! 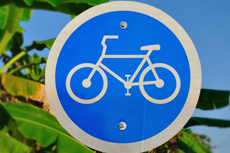 Join an exhilarating adventure as you tour this small island with a large history- by bike. 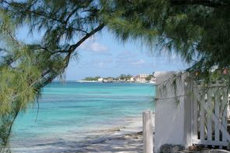 Enjoy a day of fishing on calm, near-shore waters while gazing at the beautiful sites of Grand Turk. Turks and Caicos' major claim to fame, beyond its gorgeous white sandy beaches, is the fact that it sits on one of the world's largest coral reefs. Dive operators on the island, including Blue Water Divers and Grand Turk Diving, offer diving and snorkeling programs for everyone from novice snorkelers to the most advanced divers. Don't miss Columbus Landfall Marine National Park and the Grand Turk Wall, which leads from light blue shallow waters of about 40 feet to an azure expanse that indicates a sheer drop to 7,000 feet. 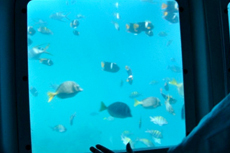 The Wall is known for great views of coral and other marine life. If you prefer to stay (somewhat) dry, there's also excellent fishing. 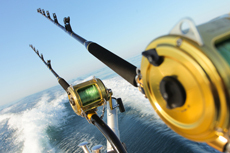 Tuna, wahoo and blue marlin inhabit these same rich waters. Duke and Front Streets in Cockburn Town are lined with historic 18th- and 19th-century buildings that mirror the Bermudan-style architecture (pastel-painted wood) of the salt-raking era (salinas, or salt ponds, still run throughout the city, although production was shut down in the 1950s). The area along Front street is where the first homes on the island were settled, and the area remains mostly residential. Cockburn Town is the administrative capital, too, and a walking tour takes you past the governor's house, old churches, the public library and a small plaza containing the Columbus Monument, which claims that the explorer landed in Grand Turk in 1492. 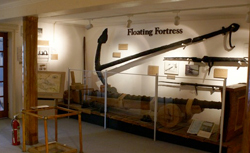 Don't let its small stature fool you -- the two-floor Turks and Caicos National Museum outlines the history of the islands alongside various displays highlighting maritime history. A central display explores the history of the Molasses Reef Wreck, the oldest European shipwreck discovered in the Western Hemisphere (dated around 1513), which some historians believe could be Christopher Columbus' Pinta. Guided tours and exclusive behind-the-scenes showings are available. There's also an exhibit dedicated to U.S. astronaut John Glenn, whose Friendship 7 spacecraft splashed down off the coast, making Grand Turk the spot where the first American to orbit Earth returned to the planet. The museum is located inside the historic Guinep House (one of the oldest buildings on Grand Turk, named for the large guinep tree that stands out front). The museum is open "one hour after the ship arrives and closes one hour before the ship departs." 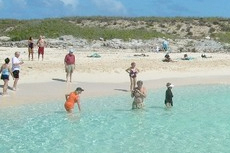 Check out Gibbs Cay, located on the Atlantic side of Grand Turk and just a short boat ride away. Snorkel, indulge in a barbecue lunch or feed and play with the friendly stingrays that swim right up to the shore. The Grand Turk Lighthouse is more than 150 years old and stands on the northern tip of the island, opposite the cruise terminal. It was built in the U.K. and transported piece by piece with hopes that it would bring a halt to the many shipwrecks on Grand Turk's reefs. In its earliest years, wrecks continued -- legend has it that enterprising thieves would douse the whale oil lamps in hopes of new bounty, though written history chalks it up to the light being dim or simply going out. In 1943, kerosene light took its place; the lighthouse went electric in 1971. The old lens is on display in the museum; informative plaques surround the lighthouse, and the spot offers a breathtaking view of the ocean. A $5 entrance fee is required and gains you access to the grounds, a small shop and a clean bathroom. Tours inside the lighthouse can be obtained through Caribbean tour operator Chukka. Best for Seclusion: Governor's Beach is a crescent of soft sand and calm, turquoise ocean waters that fronts the official British governor's residence. On a clear day, this is the best spot on the island for off-shore snorkeling -- just a few minutes out, you'll find views of fish and coral. This also the spot where locals come on a Sunday to have a casual get-together. A shipwreck can be seen just off the beach. Low, cliff-edged Bluff Point Beach is located just west of the lighthouse; in the spring and summer, you might even spot flamingos. Best for Divers: Pillory Beach is regarded as Christopher Columbus' first landfall in the New World. 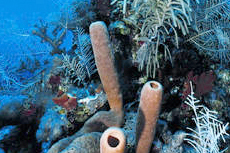 The sheer reef wall, located 400 yards off the shore, makes this one of the most popular departure points for divers. 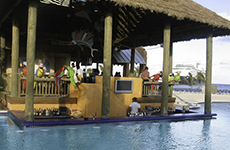 The Bohio Dive Resort, on the beach, features its own dive shop.